Its every girl’s dream to have a flawless skin, but is it possible!! There are many creams and other products which really claim to provide a flawless perfect skin and stores are full of such products. It becomes really hard to chose one. Recently L’oreal has launched skin perfect anti-imperfections+whitening cream for 20+, 30+ and 40+ age group. The most cost effective range from Loreal Paris ever!! 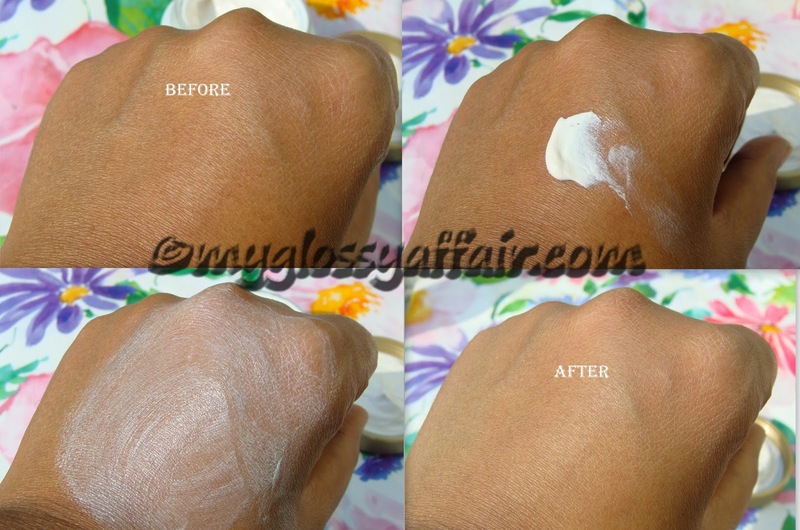 Read on to know my experience with 20+ cream. L’oreal research has selected powerful actives and specifically designed this cream to act on skin texture and skin tone of Indian women from 20 years old. This cream comes in a glass jar, that’s really cute. See. I have got 3 creams – 20+, 30+, 40+ but since I am 31, I wanted to try out 30+. So, I gave 20+ to my little sister and 40+ to my mom. Hmmm…smart na ;). I will roll out reviews of whole range very soon. So, how is this 20+ one!! We all are trying this range for almost 3 weeks on a daily basis once a day and quite liking the effects. My sister is quite satisfied with the results. Firstly, the fragrance is so nice, it leaves you mesmerized. A little quantity is required for whole face and neck. 50gm jar will last nothing less than 3 months to me. For the starter, you can try out the very inexpensive version of 18gm. which costs only Rs. 99. Now, this is a first from Loreal Paris who always have a tag of costly products. The range is targeted for specific age ranges which I quite liked. The 20+ variant contains Perlite and Salicylic acid which help keep the oiliness, blemishes and pimples away which are the major concerns in 20s. My sister has oily acne prone skin like me and we are always afraid to apply any creams on our skin. But, Loreal creams have always suited us. Till today, she hasn’t faced any breakout due to the cream, hence, it perfectly suits oily skin. Good news :). Now, coming to the results it gives. See, I don’t believe in whitening through creams. I never buy my products due to whitening claims. I only wish for even and clean complexion and something which doesn’t cause breakouts. Thats enough for me. And this Loreal cream does all good things like great moisturisation, even toned skin, cleaner complexion and no breakouts. It gets absorbed into the skin completely and gives a shine free look, matt finish and controls oil too. What more can we ask for!! Love this. Suits all skin types. Causes no breakouts even on oily skin. No breakouts at all!! Suits oily skinned beauties perfectly, controls oiliness, mattifies skin, no breakouts. I would surely repurchase and recommend this to all my beauties, especially those with oily skin as they suffer most in moisturising part as nothing suits them!! Get this one and be free. Light on pocket so you can afford even in your college days as it is specially meant for that. The skin suffers a lot in those days due to all the dirt and pollution, it is exposed to. Better take precaution and save your skin. At Rs. 99/-, you have to try this :). Great review Charu… I read another one about this same product and you both agreed that the glass jar was something you would have to be careful with and both of you advised that it was not good for dry skin… I love Loreal products but as I have become older my skin has become drier… so I could not use these products. I am following your blog right now. Loved your post!! My skin has been praying for something like this…. thank you! Great review!!! I love L´Oréal products!!! My dear friend Charu, thanks for sharing! I have never tried a whitening cream as I normally already pale. But if one day I will decide to be even more pale, I know which cream I will use 🙂 Wish you a happy rest of the week! Sounds like a great product, maybe I will try it! Thanks for the review! You may not realise it but Heath is actually one of the oldest characters in the Monster High story. The result is amazing! Fantastic innovative cream with extraordinary effect!